Daniel fast recipes are recipes that uses mainly fruits and vegetables. A complete list of the food for the daniel diet is listed below. The book you see below is a compilation of recipes for daniel fast that was contributed by all my readers. If you are having trouble finding recipes for this strict diet, I encourage you to check out the book as they are tried and tested by real people. Download My Latest Daniel Fast Recipe Ebook Here! Before we continue, if you would like to receive more Daniel Fast Recipes and information, please use your first name and valid email, then click the “Send Me The Free Recipes Now!” button to subscribe (All information kept 100% confidential). Allow the next page a few seconds to load. I will be emailing you a recipe a day for the next 10 days to help you out.. Please use an email address you check regularly so you can receive all information regarding Daniel Fast Recipes. Your details will be strictly protected and safe. It will never be sold or shared. Beans/Legumes : Red beans, black beans, dried beans, long beans, french beans, pinto beans, split peas, black eyed peas, lentils. Vegetables : Asparagus, artichokes, brinjals, broccoli, beets, bean sprouts, carrots, cabbage, celery, cauliflower, chili peppers,cucumbers, corn, cactus, eggplant, ginger root, garlic, kale, lettuce, leeks, mustard greens, mushrooms, onions, okra, potatoes,pickles, parsley, rutabagas, radishes, spinach, sprouts, scallions, sweet potatoes, squashes, turnips, tomatoes, water chestnut,yams, zucchini. 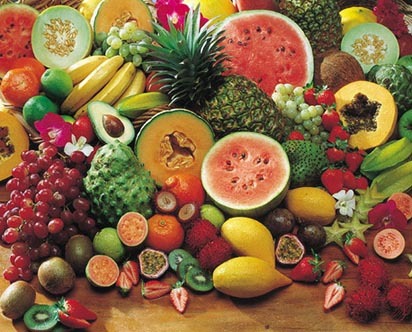 Fruits : apricots, apples, black berries, blue berries, boysenberries, bananas, cherries, cranberries, cantelope, dragon fruit,durian, figs, grapes, grapefruit, guava, honeydew melons, kiwi, lychee, lime, lemons, mangosteen, mangoes, nectarines, peaches, pears,pineapples, papayas, plums, prunes, rasberries, rambutan, raisins, strawberries, tangerines, tangeloes, watermelon. Oat bran is very nutritious, it will keep you through the morning. In addition, Bran is also great for your digestive system. The apples add flavor to the meal and if you choose to serve with soy milk, it is a great complete breakfast with lots of carbohydrate, vitamins and protein. Great for weight loss as well! and allow water to return to a boil. 4 cups old fashioned oats (do not use instant or quick cooking). 1. Combine oats, walnuts and a pinch of salt in a bowl, mix well. 2. In a separate container, combine the water and vanilla. 3. Combine all ingredients (except the dates) and stir gently. 5. Bake at 350 degrees for 30 to 60min. Keep an eye on this after 30 minutes; depending on variable conditions, they may cook between the 30th to 40th minute. 6. When done, take the baked oatmeal out of oven, stir in the dates, and serve warm. Tip: You can also serve with soy milk for this Fast. If you like it sweeter, you may use honey or raw sugar found in most grocery stores. I Want More Daniel Fast Recipes! If you would like to receive more Daniel Fast Recipes and information, please head to the top of the page. I will be sending you a free recipe a day for the next 10 days. Enter your email address and first name and I will send you the first recipe of the day. Click here to return to the top of the page to request for more Daniel's Fast Diet.